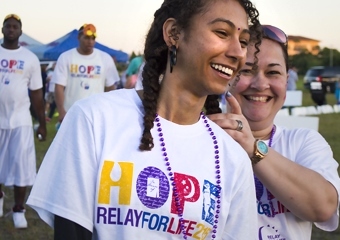 Sign up now for “Relay For Life of Imperial Beach” now and Attend the “Relay Kickoff Rally” Saturday January 30th at St James Church in IB from 11 am to 1 pm. be the best ever for Ib. CANCER IS EVERYWHERE and you are needed to make a difference and Relay is fun...we walk, not run. to learn more, come to our RELAY KICKOFF RALLY on Saturday Jan 30 at St James Church in IB. Need details or have questions, I'm here to help. Form a team or join mine, another fine day, in memory of JIM FITCH. the Relay to have the most registrations by Jan 22 will be recognized.. So. No time like the present.. Sign up by using the attached LINK!! Let's roll! !I'm ready."